In a bid to incentivize digital literacy, BSNL has introduced new plans specifically catering to governmental agencies around Digital India projects. The latest announcement from the company comes in the form of a new fiber broadband plan priced at ₹875 per month in Kerala. For the tariff of ₹875, the plan offers a download speed of up to 10Mbps and monthly fair usage limit of 120GB. After exhaustion of this 120GB, the speed drops down to 2Mbps which is the minimum speed offered by the ISP. 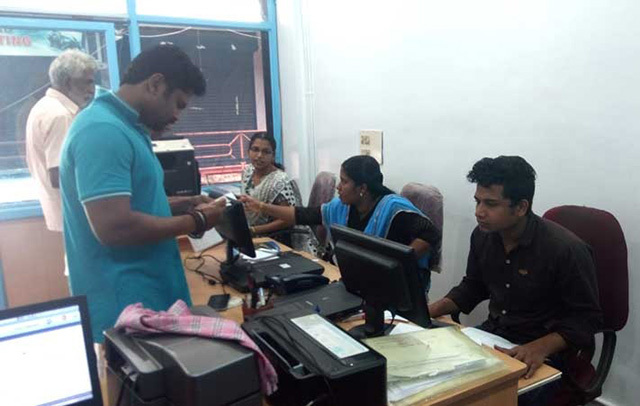 The plan is specially designed for Akshaya e-Kendra or e-literacy centers set up by the Kerala government, which aim to improve digital literacy in underserved areas and to provide a platform for the government to engage with connected citizens. The centers will have to employ the plan for at least twelve months, and the e-Kendras that pay up front for the entire year will get a benefit of ₹875. This is because users paying on monthly basis will be liable to pay ₹875 and additional ₹90 as the monthly charges, which totals out to ₹11,580 per year while those paying on yearly basis will have to pay ₹9,625 along with ₹90 as the monthly maintenance charges. This means that centers paying a year’s fees up front will be able to save one month’s charges. Further, since the plan is specific to Akshaya e-Kendras, it will not come with calling benefits. The e-Kendras initiative which was started by the government in 2002 has now led to the building of 42 e-literacy centers throughout the state. These centers also act as connecting points to e-governance and other public services offered by the government. For domestic users, BSNL is offering fiber broadband with plans offering up to 50Mbps download speed. For mobile users, the company had recently announced a postpaid plan with 30GB monthly data and unlimited calling for a value of ₹399. At the moment, it’s unclear whether the plan will be extended to similar governmental bodies in other circles. Meanwhile, BSNL has also been in the news over lax security in the past few days. Despite warnings by security researchers, BSNL’s website was compromised recently and defaced by a group of hacktivists called LulzSec. Although the site has been restored, the incident points at the bureaucratic inertia of the government-run service provider.